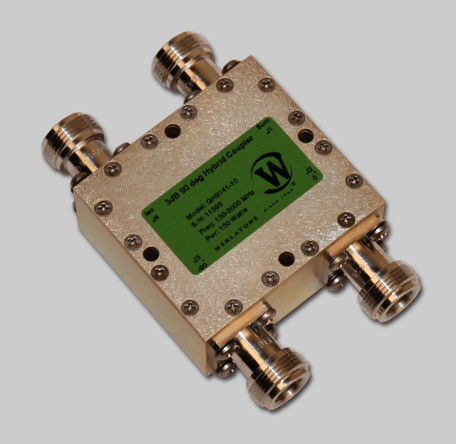 Werlatone supplies Model QH9141, our latest connectorized, 90° Hybrid Coupler, covering a full 150-2000 MHz band. Rated for 150 W CW, this unit will tolerate severe port-to-port unbalances, while operating with an insertion loss of only 0.85 dB Max. A non-connectorized version is available, Model QH8922. Units designed for military and commercial applications.